I'm truly in awe of Brazilian author Claudio Soares, who is not only serialising his novel Santos Dumont número 8 on twitter, but has set up twitter streams for each of his main characters! The book is in Brazilian Portuguese, as is the twitterisation, but you can read about his experiment in English in this smashwords blog post. The novel itself sounds wonderful, and I hope he finds an English publisher for it (anyone at Faber or Penguin paying attention????). 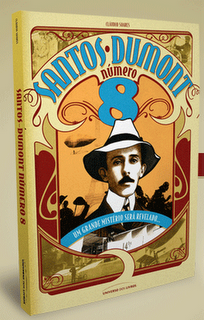 Here's the Santos Dumont número 8 twitter page for the serialisation.